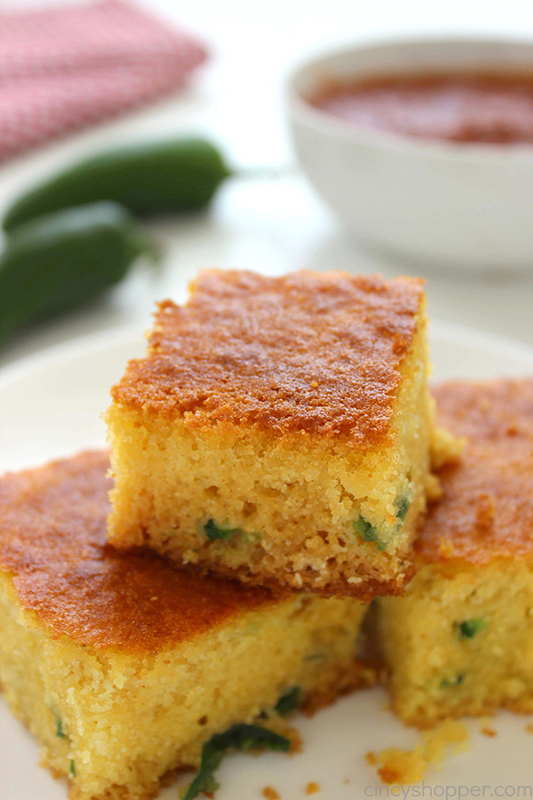 This Homemade Cornbread with Jalapeños will make for a perfect side dish with all of your chili, stew, and soup recipes this fall and winter. 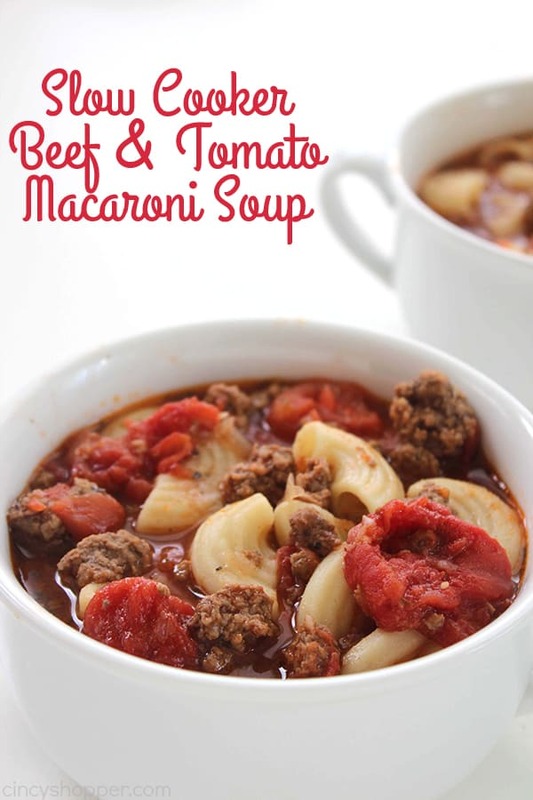 A perfect southern comfort food for the cooler weather. 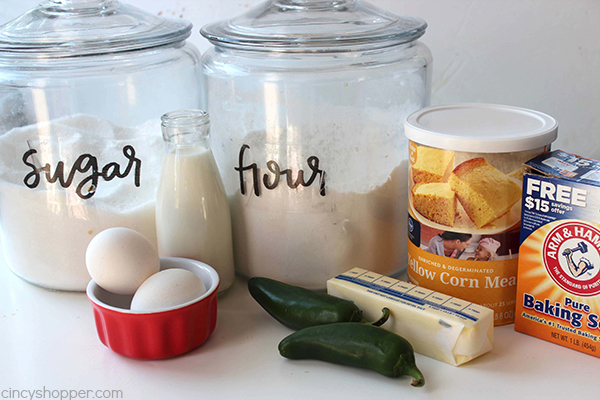 You will find this recipe so much better than the store bought mixes. 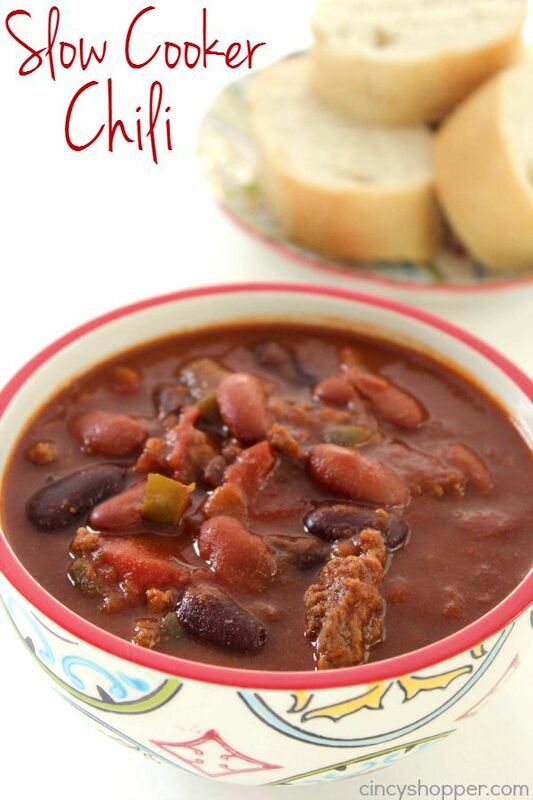 This past weekend, I had a serious craving for some Slow Cooker Chili. The cooler air in the early mornings and evenings really makes me feel like fall is on it’s way. 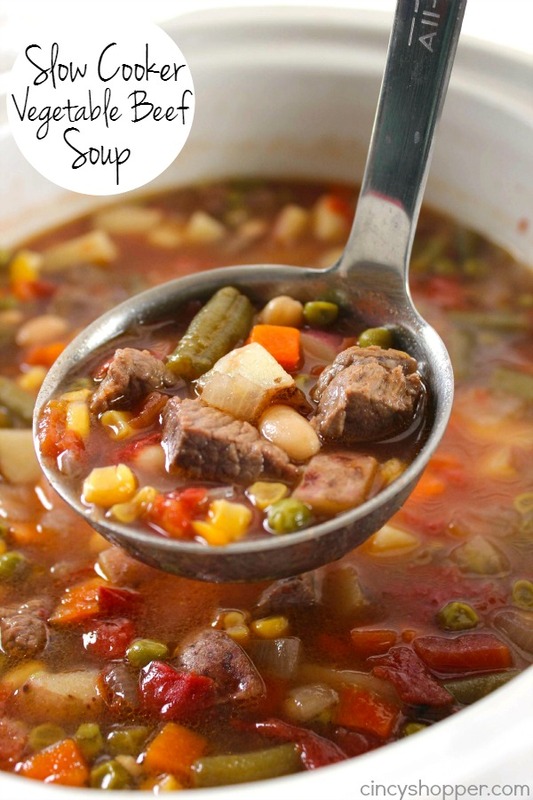 During the cooler months, we always make big batches of chili and homemade soups like our Slow Cooker Vegetable Beef Soup. I am a dipping sort of girl. 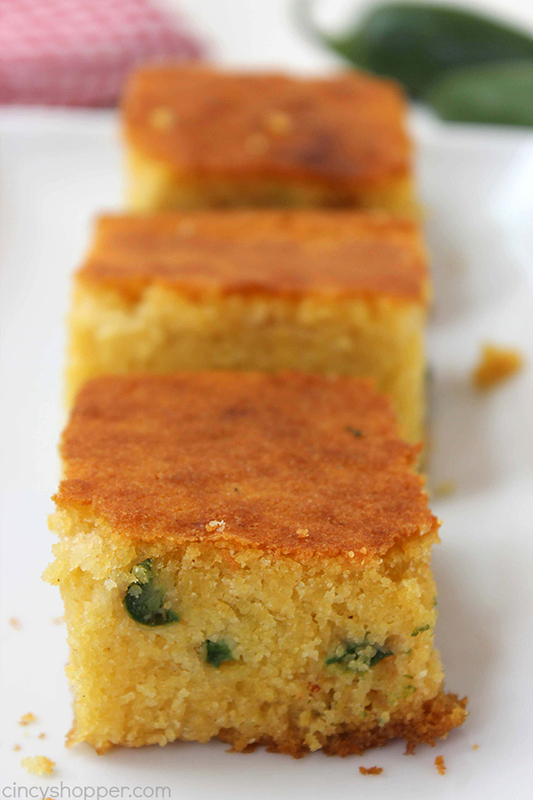 I like to have bread, specifically my husband’s Homemade Cornbread. When I was younger, I was never much of a fan of cornbread. After marrying my hubby, that all changed. 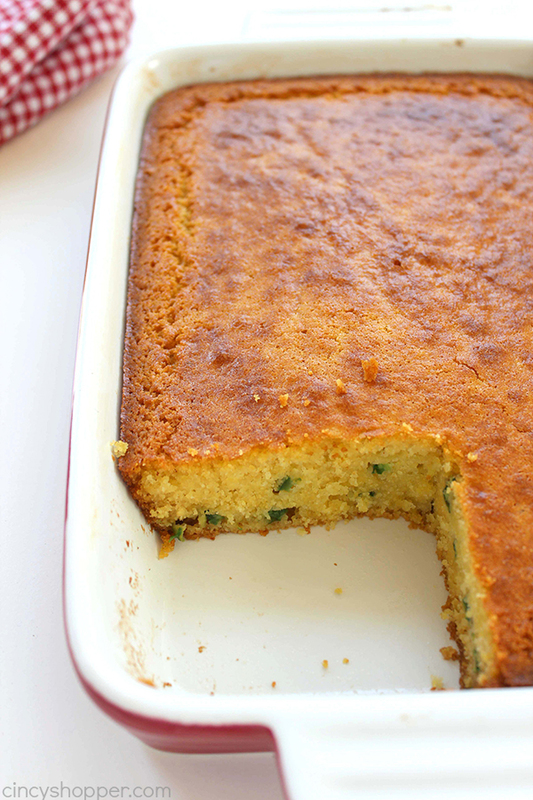 His cornbread was over the top delicious and perfect for enjoying with chili. Maybe it is because he is from the south, ha ha. His recipe is super simple. 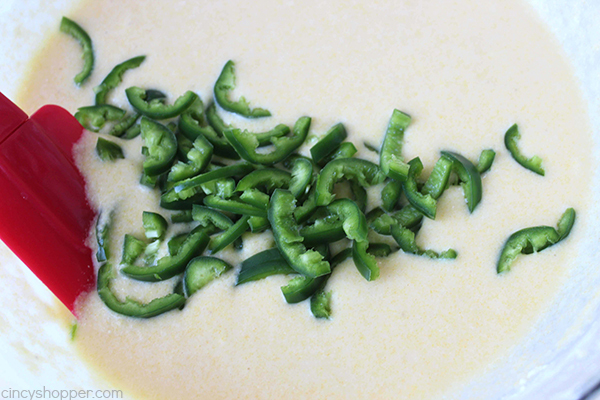 I will quite often toss in some jalapeño when I enjoy it with chili. I like everything with a bit of extra kick. 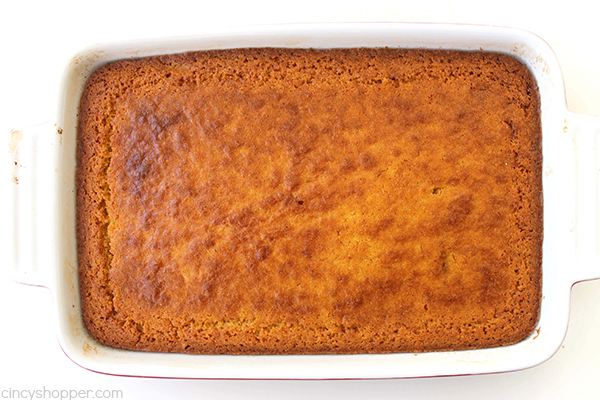 With just a few simple pantry and fridge ingredients, you can whip up a batch of this delicious cornbread to enjoy along side of your fall meals. It is a pretty basic recipe that pairs well with so many dishes. Slice jalapeños lengthwise and remove seeds. Slice into smaller pieces and set aside. Grease inside of 8×8″ pan with stick of butter. 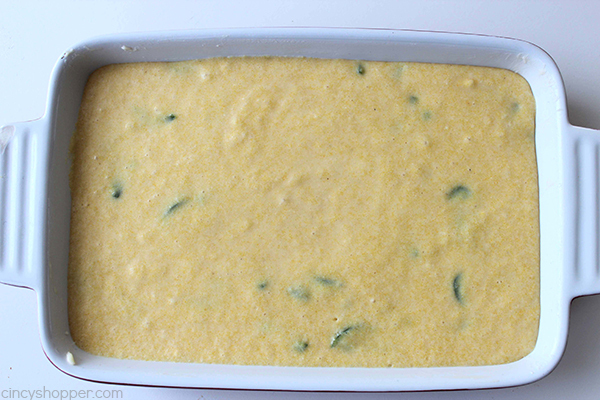 If you are using milk instead of buttermilk, add milk and lemon juice to large bowl and allow to sit for 5 minutes. 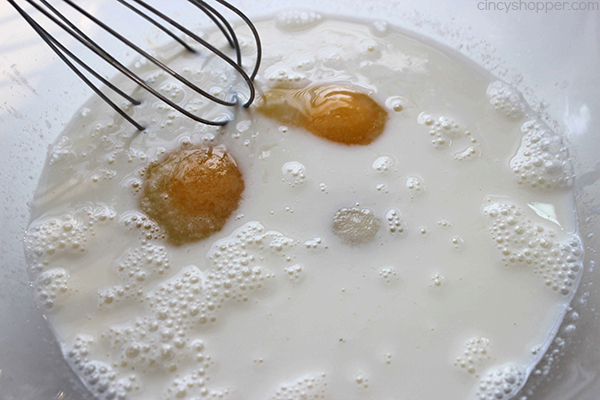 Combine buttermilk (or milk mixture), eggs, sugar and salt to bowl. Add melted butter into liquid in bowl. 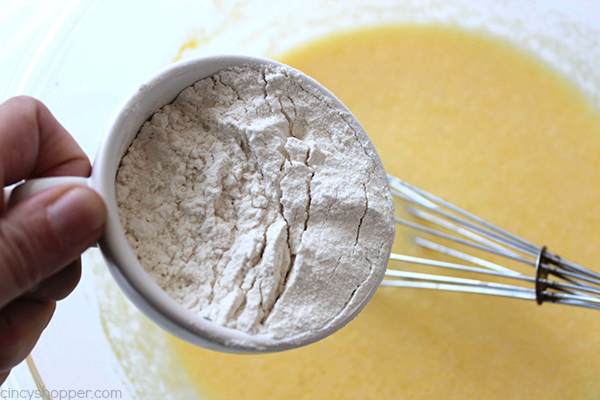 Whisk butter into milk mixture. 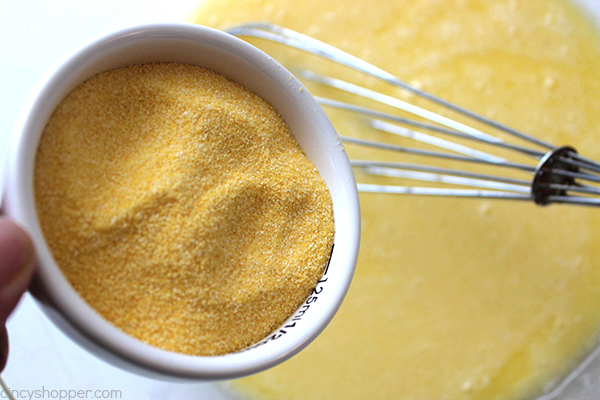 Whisk in cornmeal, flour and baking soda until just combined. Bake at 400 for 25 minutes until top is golden brown. 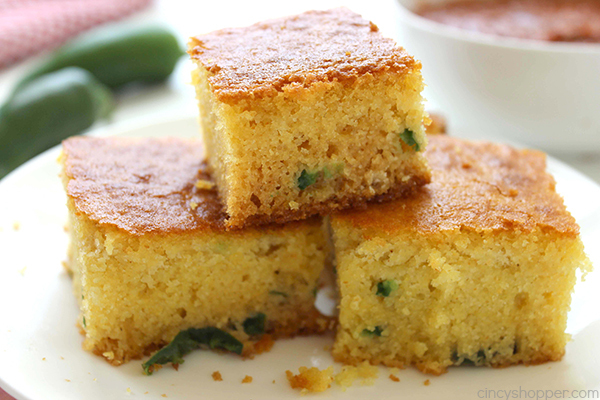 Are you a cornbread fan? 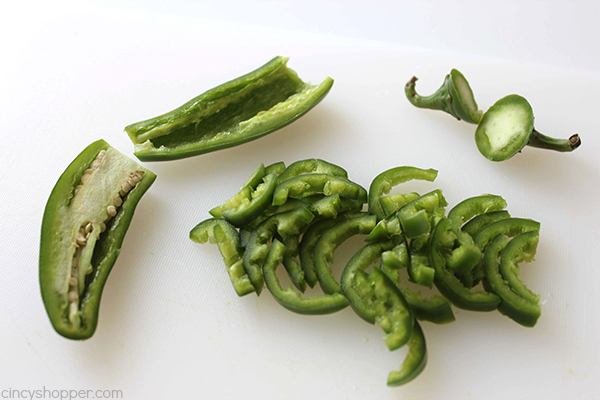 Slice jalapenos lengthwise and remove seeds. Grease inside of 8x8" pan with stick of butter. 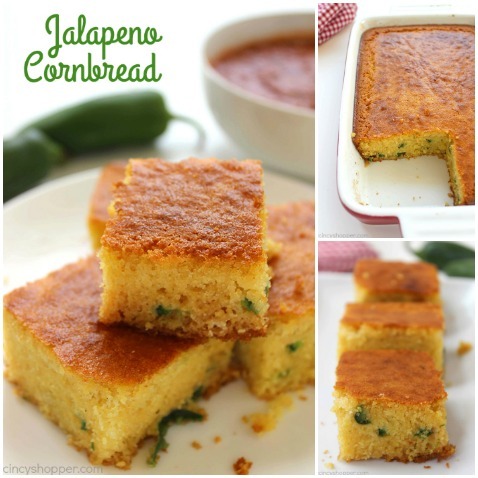 One of my favorite things in the world is jalapeno cornbread. I can never stop eating. Your recipe looks delicious. 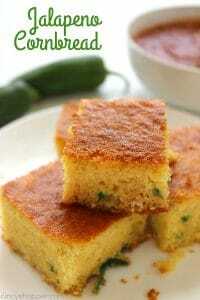 I am a cornbread fan I love spicing things up, thanks for the recipe! This sounds like a delicious side dish to add to the menu. This would be especially true on nights when we have beans and rice. Thank you for sharing this with us on the #HomeMattersParty. We hope to see you next Fri. at 12 AM EST when we open our doors. Made this today along with white bean and ham hock soup…I’m in heaven! !